Accenture PLC is a multinational management consulting services company. Its incorporated headquarters have been in Dublin, Ireland since 1 September 2009. It is the world's largest consulting firm as measured by revenues and is a Fortune Global 500 company. As of 2015, the company reported net revenues of $31.0 billion, with more than 373,000 employees serving clients in more than 200 cities in 120 countries. 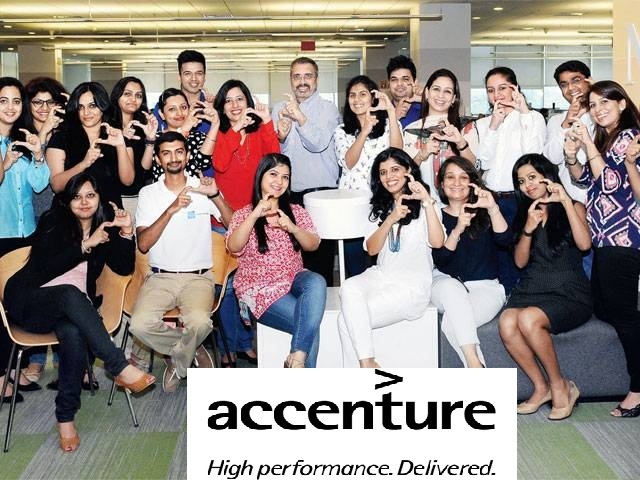 In 2015 Accenture had about 130,000 employees in India, more than in any other country, about 60,000 in the US, and about 50,000 in the Philippines. Accenture's current clients include 94 of the Fortune Global 100 and more than 80 percent of the Fortune Global 500.